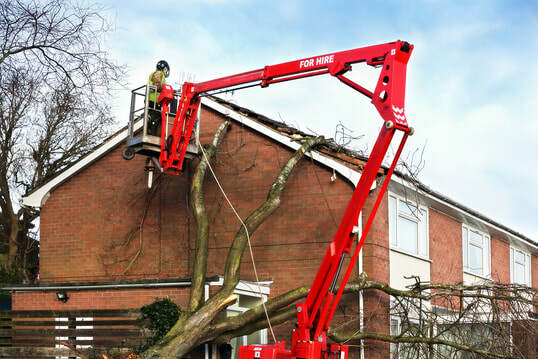 Notts Tree Services are reliable local Tree Surgeons that are available 24/7 for Emergencies. Click here to call Notts Trees. Our team of tree surgeons are on standby 24 hours a day and respond to these emergencies quickly, to assess the damage. We aim to be extremely prompt in our Emergency Service response time. Our team have the correct training and the equipment to deal with almost any emergency e.g. portable generators, traffic control and emergency lighting. 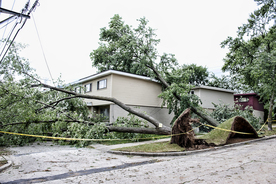 Our team of local tree surgeons will assess the situation and can secure or remove hazardous trees in the safest way possible, whilst doing the best to prevent damage to the public and property. Once we have safely removed the tree, we will then begin the clean-up process. If you’re in the Nottingham area and need of our emergency tree service, you have come to the right place. Give Nottingham Tree Services a call on 0115 824 9899 and we will be there extremely promptly.